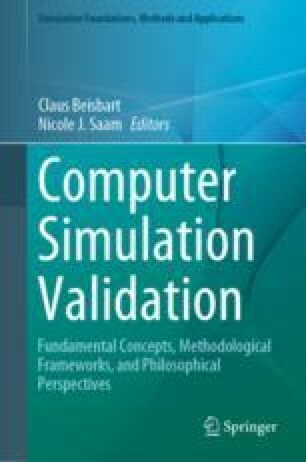 Most computational analysts, as well as most governmental policy-makers and the public, view computational simulation accuracy as a good agreement of simulation results with empirical measurements. However, decision-makers, such as business managers and safety regulators who rely on simulation for decision support, view computational simulation accuracy as much more than agreement of simulation results with experimental data. Decision-makers’ concept of accuracy is better captured by the term predictive capability of the simulation. Predictive capability meaning the use of a computational model to foretell or forecast the response of a system to conditions without available experimental data, even for system responses that have never occurred in nature. This chapter makes this important distinction by discussing the crucial ingredients needed for predictive capability: code verification, solution (or calculation) verification, model validation, model calibration, and predictive uncertainty estimation. Each of these ingredients is required, whether the simulation results are used in the generation of new knowledge, or for decision support by business managers, government policy-makers, or safety regulators. I thank Drs. Timothy Trucano, Patrick Roache, and Theodore Kneupper for carefully reviewing an earlier version of this chapter and providing many helpful suggestions for improvements and clarifications. Taleb, N. N. (2008). The fourth quadrant: A map of the limits of statistics. Retrieved September 14, 2008, from https://www.edge.org/conversation/the-fourth-quadrant-a-map-of-the-limits-of-statistics.